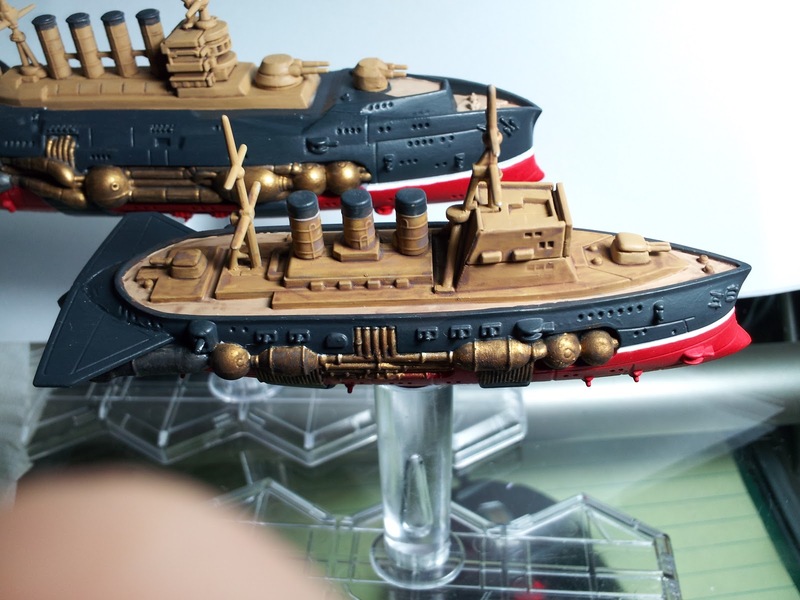 I starting going over the Battleship with the colors used to clean up the miniature. You can see the the wash on the Cruiser compared to the Battleship. This gives the ship a cleaner contrast and shaded areas. The same work will be done on the Cruiser and other ships as I get them done. The wash I find better to just cover the areas I want a wash on, then going back and painting the colors back up with thin layers to cause contrast and subtle shading effects. I also went back over the metal parts with both a dry brush and thin down metal colors, so they will give it a touch of shine without it being to shiny. I am almost to where I want to go with this look. I debated on doing the windows differently but left it as is, and will use a clear gloss for the deck house area. I forgot to add, I did do a red wash for the bottom section and mostly just for panel lining and not the entire red area. 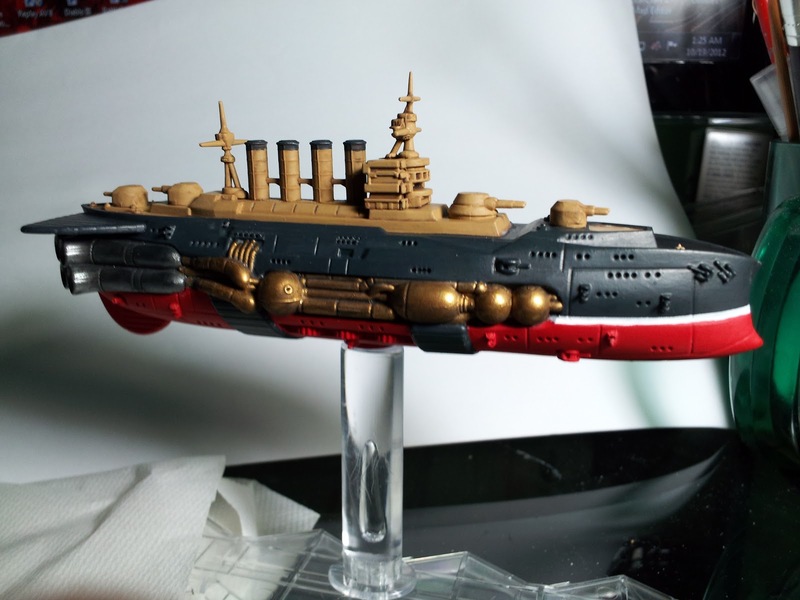 I hope people will enjoy and perhaps comment on what I should to improve the paint job. 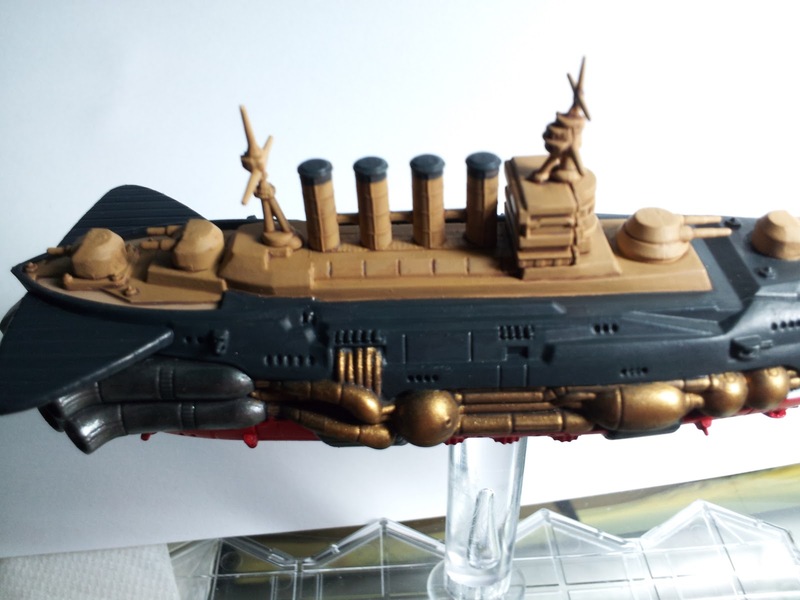 After looking at the miniature more so, I almost feel like making some oil stains on the engines and brass parts. I may just leave them though. Also, some of the little guns got broken off from the bottom section, I will revisit this with brass rods at a later date to replace those.